The Vaughans Stream Reserve is a new 20ha park that will provide Long Bays's signature landscape experience. 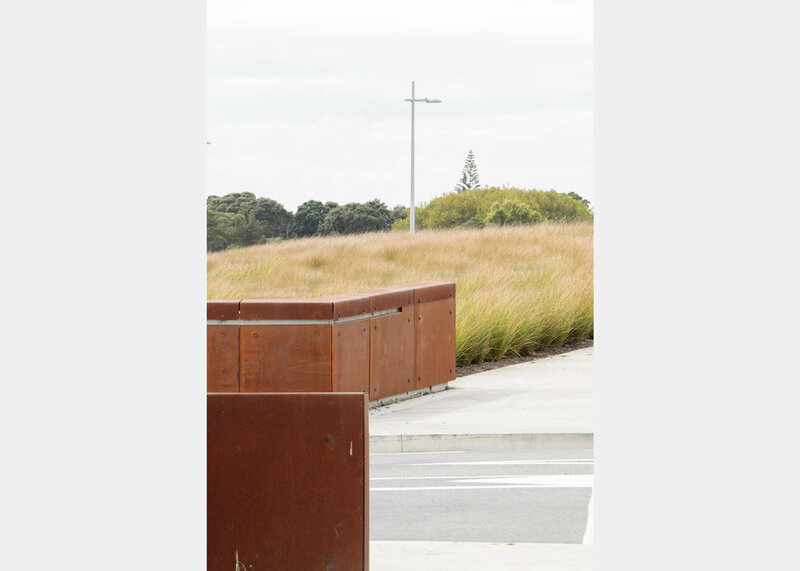 The design strategy stitches together the ecological restoration of an existing stream corridor with new storm water and social infrastructure programs into a contemporary coastal parkland network. The organisational strategy introduces a family of design elements - boardwalks, bridges and pavilions - which facilitate circulation, navigation and occupation. 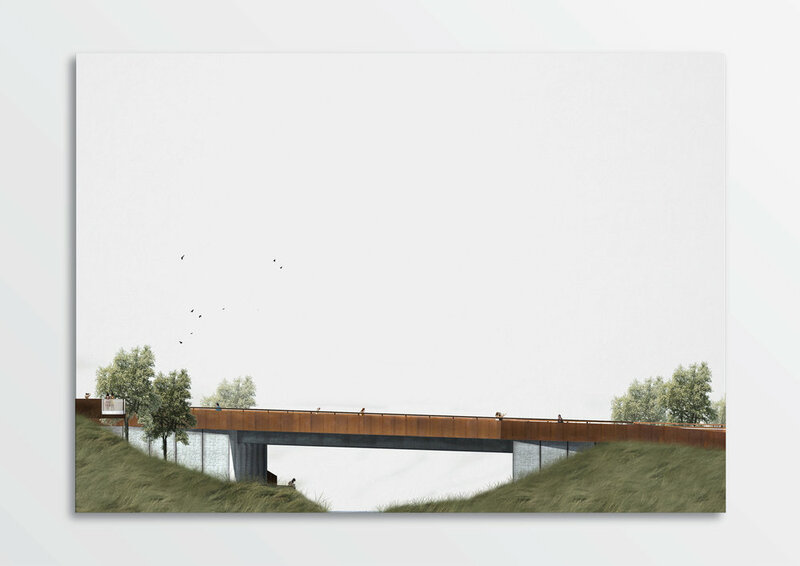 The Vaughans Stream Bridge re-conceives conventional notions of a bridge to propose a infrastructural and landscape led approach characterised by its horizontality which meshes with the surrounding landscape and preserves views to the wider coastal landscape. The design strategy harnesses the convergence of the sites wider movement networks to create a landmark and focal point sensitive to its riparian and coastal context.